A sturdy motor and good dust extraction guarantee clean work. 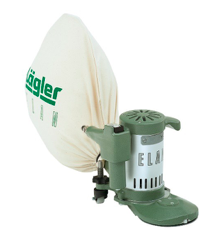 The ELAN is straightforward to use, making it suitable for finishing and cover-up work. Irregularities in the flooring are levelled out smoothly thanks to the flexible steel sanding plate.